I finished a freaking marathon! 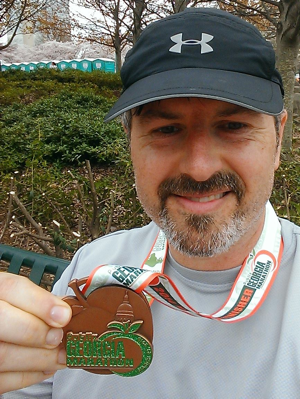 I ran the 2014 Publix Georgia Marathon in Atlanta on March 23. I got up at 4:00 AM, drove to the MARTA train station, and took the train to Centennial Park, where the race started and finished.